The Prime Minister, Amadou Gon Coulibaly, on Monday, March 19, 2018, launched work on the first Ivorian Technical Recovery and Landfill Centre known by its French acronym as CVET, on the site of the autonomous district of Abidjan. The cost of the operation is approximately CFAF 41 billion and it is the foundation stone of an ambitious strategy for the city which aims to become again, "the pearl of the lagoons". Anne Désiré Ouloto, Ivorian minister of Health, Environment and Sustainable Development present at the launching ceremony of the centre at the Kossihouen site, a suburb in western Abidjan, pledged to Prime Minister Amadou Gon about the improvement of waste management infrastructures. “The objective is to contribute to making the autonomous district of Abidjan, a sustainable and green city, in a circular economy approach in order to fight vehemently in terms of cleanliness and solid waste management.” She added. Mr Pinto Rodrigues, CEO of Clean Eburnie, a consortium made up of the Ivorian company Clean Bor-Ci and the Portuguese company Meta Engil, chosen to carry out the work, is under great pressure. “Mr. Director General, it all starts now. Every day, every hour, every second is now counted and the countdown will begin in a few moments,” said Anne Ouloto. The first locker must be operational at the beginning of July 2018 to finally allow us to close and rehabilitate the Akouédo landfill. This is no small task given that the centre will cover 100 hectares and will include a waste storage and sorting centre with a capacity to receive 5 million tons of waste per day from the new transfer centre in Anguédou. On this intermediate storage area, the waste collected in the various communes will be collected before being sent to the CVET. For the Minister, this technical landfill centre in Ivory Coast will enable waste recovery to begin and ensure the environmentally sound disposal of ultimate waste thus, the leachate (liquid from the waste) will be treated and reused to water the waste itself, in order to accelerate its decomposition. To do this, the traps will receive passive (compacted clay) and active (geo-membrane and geotextile) protections that protect the soil against leachate infiltrations, which are collected by drains and sent to the treatment unit. The clean rainwater will also be reused and the new centre will also recover and treat biogas (from decomposing waste in the racks) before it is recovered for energy. 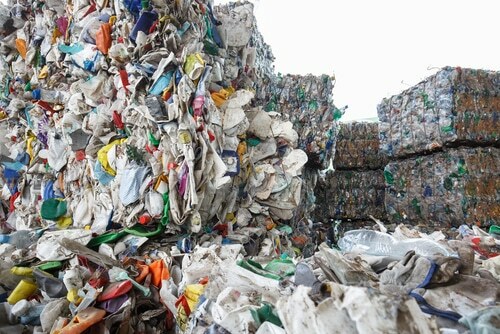 At the same time, waste sorting and recovery at the site will make it possible to reuse and recycle waste such as paper, cardboard, plastics, bottles, ferrous packaging, etc. Finally, fermentable waste will be transformed into compost and fertilisers for agriculture. The implementation of this waste recovery and landfill centre is part of a more global strategy, which aims to organise and modernise the entire waste collection and management chain of the Autonomous District of Abidjan. Instead of dilapidated old trucks, new trucks will sweep the streets, package and transport the waste to the transfer centre. It is in this perspective that an international call for tenders was organised in 2017, at the end of which two operators were selected to ensure the cleanliness of Abidjan. Ecoti SA, a group of Tunisian and Ivorian operators, will take care of the municipalities of Abobo, Anyama, Bingerville, Cocody and Plateau. Eco Eburnie, a subsidiary of the Portuguese company Mota Engil, will be responsible for cleaning the municipalities of Adjamé, Attécoubé, Yopougon, Songon, Koumassi, Marcory, Port-Bouët and Treichville.